Anna Furnadzhieva graduated from State Music Academy ‘Pancho Vladigerov’ in 1991 in the violin classes of Prof. Stoyka Milanova and Associate Prof. Eli Kasakova and the chamber music classes of Prof. Dimo Dimov and Prof. Zheni Zaharieva. In 1990 she took a course in orchestra mastership in Trento, Italy. From 1991 to 1993 she was a member of Symphonietta Orchestra of the Bulgarian National radio, which is a great school for every musician. In 1993 Anna Furnadzhieva became orchestra member of Varna Opera, and in 1994 she started working as assistant concertmaster. The young violinist gathers experience under the baton of some of the best Bulgarian conductors. Since 2003 Anna Furnadzhieva has been concertmaster of Varna Opera and Philharmonic Society. She started learning the violin when she was five years old under the guidance of her father. 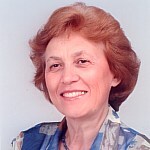 In 1967 she finished Music School ‘Dobri Hristov’ in Varna and started her studies at the Music Academy in Sofia under the guidance of Prof. Leon Souroujon and Prof. Boyan Danailov. After graduation she was immediately auditioned for an orchestra-member of State Philharmonic Orchestra – Varna (1972). 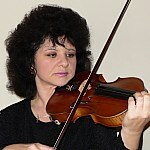 Since 2002 she has been concertmaster of Opera-Philharmonic Society – Varna. Graduated “Dobrin Petkov” National School for Music and Dance – Plovdiv, in Elena Doykova’s violin class, and after that he received a bachelor’s degree from the Academy of Music and Dance – Plovdiv. In 2008 he received his master’s degree in the specialty “Instrumental Arts” – violin at the Academy of Music and Dance under prof. Nedyalcho Todorov. While still a student, he participated actively in concerts as solo violinist (at the Academy of Music and Dance – Plovdiv and State Music Academy – Sofia). He also performed with the student orchestra as a soloist and concertmaster. In 1990 he and colleagues of his founded “Forte” Student String Quartet, which he headed until he left it in 1993. With the student string quartet he had numerous concerts both in the country and in a number of European music capitals (in England, France, Switzerland, Germany, etc.). He recorded at Bulgarian National Radio a cycle of piano quartets by Ludwig van Beethoven with prof. Georgi Kanev. 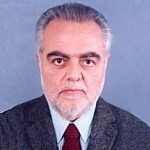 From 1993 to 1996 he was a member of State Philharmonic Orchestra – Plovdiv and the chamber orchestra to it. From 2003 to 2003 he was with the Austrian “Vienna Walzer Orchestra”. Since 2004 he has been working at OPS – Varna, and performing with “Varna Chamber Orchestra” where he is a soloist. With the above orchestras, Krasimir Shterev has performed in world-famous venues such as Brucknerhaus – Linz, Tokyo Opera City Concert Hall, Okayama Symphony Hall, Yokohama Minato Mirai Hall, etc. In September 2008 he taught classes at the International Music Academy, organized under the patronage of Orpheus Music Society (of which he is a co-founder) and New Bulgarian University. In competition with many applicants, in February 2009 he received the post of concertmaster of OPS – Varna. Atanas Daskalov was a student at the Boarding-School for Talented Children in Sofia, where he studied for three years until it was closed down. He finished the Music School in Sofia and graduated with honors from the Music Academy, Instrumental Music Department. In 1966 he took a specialization course with Prof. Bohush Heran in Prague, the Czech Republic. 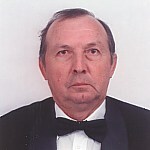 Since 1st July 1967 he has been member of Varna Opera, and since 1971 he has been a leading cellist. For twenty-seven years the renowned instrumentalist has been a lecturer in cello at the National School of Arts in Varna and for over fifteen years has been assistant conductor of its Symphonic Orchestra. Born in Varna, Boris Daskalov started learning the cello when he was a child and finished the Music School in his native city. Then he continued his education at the Music Academy under the guidance of Prof. Zdravko Yordanov. He has taken specialized courses with Maurice Gendron and Alain Meunier (France) and Robert Bex. 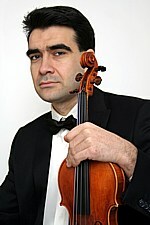 He has played in different orchestras and chamber formations: Varna Chamber Orchestra, Bulgarian Chamber Orchestra (founded by Prof. Emil Kamilarov and Prof. Dina Schneidermann), Sofia Opera, Symphonic Orchestra of the Bulgarian National Radio, Army Ensemble, Dobrich Chamber Orchestra and Varna Philharmonic Orchestra. From 1979 to 1984 he taught cello, chamber music and orchestra playing at the Conservatories in Rabat and Casablanca (Morocco). He is a permanent member of Varna Philharmonic Orchestra, Varna Festival Chamber Orchestra (since its foundation), Festival Symphonic Orchestra – Sofia. Since 2002 he has been a permanent member of the Festival Symphonic Orchestra of Tenerife (Canary Islands).